CVCS Grandparents Day was Friday November 4th. The student performed a wonderful program for the grandparents. 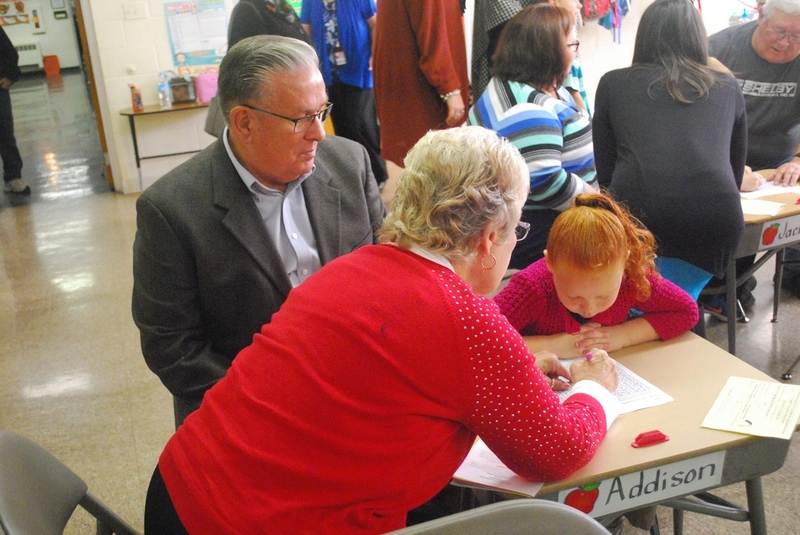 The grandparents then joined their grandchildren in the classroom. The Cumberland Valley Christian School students collected shoeboxes for Operation Christmas Child sponsored by Samaritan’s Purse. Bill and Sandy McHugh, regional directors for OCC, came to speak in the different chapels to encourage us to get involved with packing shoeboxes to give to needy children around the world. Not only will the children receive a box of toys, school supplies, and health items, but they will also be given a booklet that tells about God’s love. The Lower Elementary grades (K-3 through 2nd grades) packed 195 shoeboxes. The total for the Upper Elementary grades (3rd through 6th grades) was 139 shoeboxes. The High School grades packed 403 shoeboxes. This makes a total of 737 for our school. The Elementary grades had a Dress Down Day and raised $291 for shipping the boxes. Upper Elementary- Mrs. Snyder’s 4th grade class Both of these classes earned a dress down day and extra recess. High School- the 9th grade class and the 11th grade class They both have earned a pizza party. We want to thank everyone that donated shoeboxes, items or money. A special ‘thank you’ goes to all of the teachers that helped their students with packing the shoeboxes. We need to pray that the Lord will use these boxes to help children around the world to know the real meaning of Christmas- that God sent His Son, Jesus to be our Savior.